Are you bored of using the same voicings/sounds every time you play a blues? Well here’s an easy way to explore some new sounds. 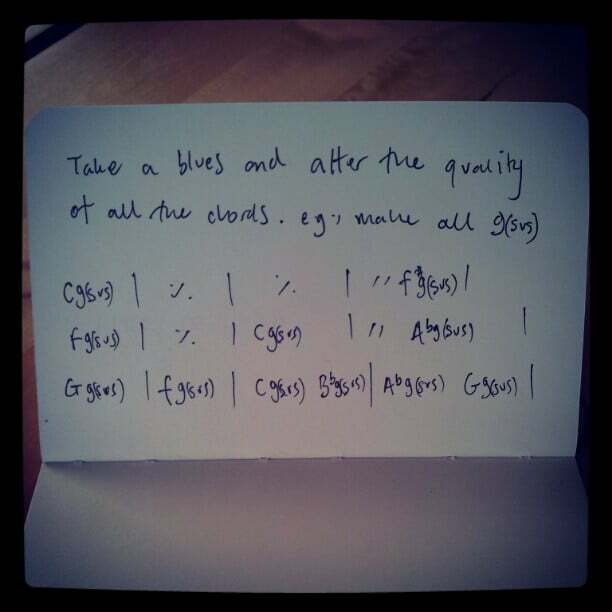 Change the quality of every chord in the progression. In the above example, I’ve changed all the chords to dominant 9ths that are suspended. If you’re a guitar player, then this is the easiest chord in the world.